as I usually show one polish per post. But after swatching them... I couldn't do it! and then as time goes by I can actually use them to accent my manicures. All of these swatches are ONE COAT! Albeit sometimes a thick coat... but ONE COAT nonetheless! These were not hard to work with, and didn't have any problems with application. 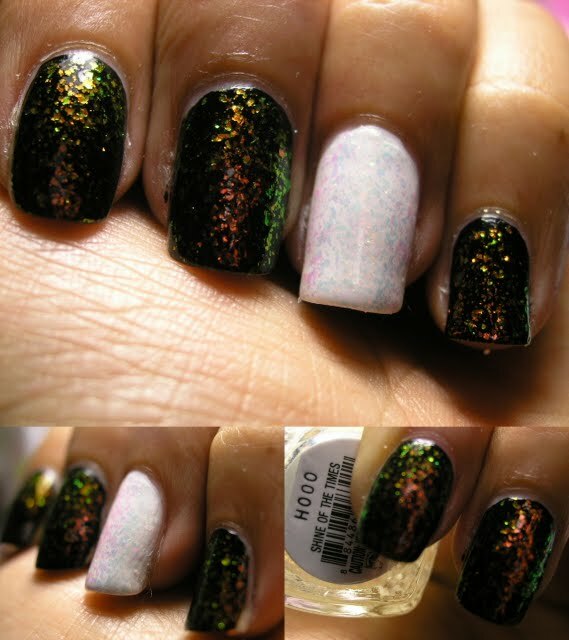 Adds pink and teal shimmer onto the nail, this is on a clear base and looks better over a darker color. A Rose gold hex glitter, in micro, small, medium, and large sizes on a clear base. A gold flakie polish. I didn't expect to love this color, as I am more of a silver girl. A silver hex glitter, in micro, small, medium, and large sizes on a clear base. This will likely be the star of this collection, and it is stunning! 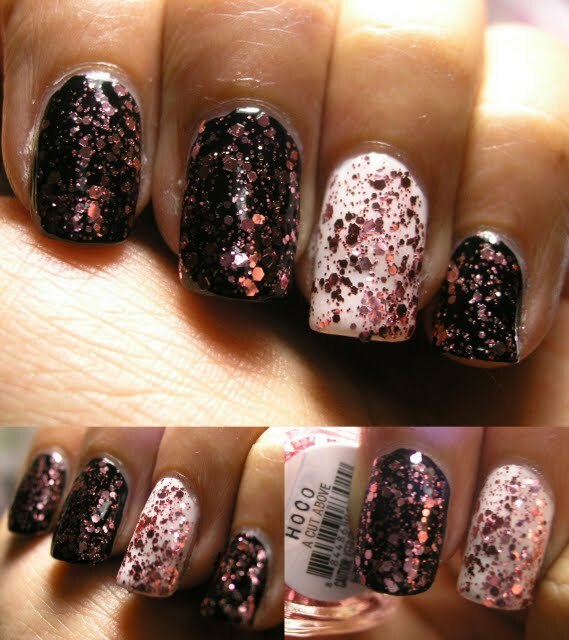 Nubar 2010, and Sally Hansen Hidden Treasure. But look at the color shift on black AND white! On white it shifts from pink to blue. Which is where I bought it!